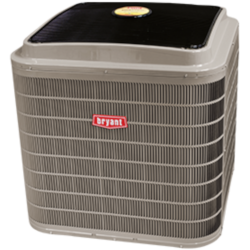 There's a reason the Bryant Evolution Extreme Heat Pump qualifies as an ENERGY STAR® Most Efficient 2014 model. This level of cooling and heating efficiency is almost unheard of in a split system heat pump of this kind. It combines intelligent system control with variable-speed operation to provide premium comfort and energy savings.